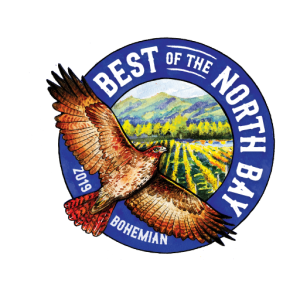 “We knew when we contacted Weston that our project would be challenging. The oldest section had rotted out to the point where one’s foot could break through certain planks. Nails were used in construction that were coming up, also causing potential danger. Although one newer section was not as bad we had to access whether it would be easier to demolish it as well as opposed to working around it. Weston offered several options and we decided on going with the “new” all the way around. 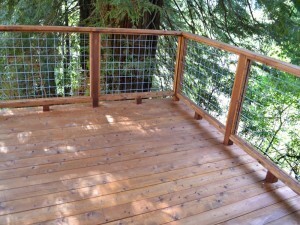 We had seen his website and knew that we wanted to go with a “high-five” railing which would preserve the views and was less costly than other cable rails. After Weston presented us with certain pro’s & con’s, we chose kiln-dried cedar due to its medium-price range and a personal preference for real wood vs. composite materials. A few other options presented themselves before and during the construction that were worked out to our satisfaction after mutual discussion. We chose a darker stain that we believe really enhanced the deck’s richness in appearance. 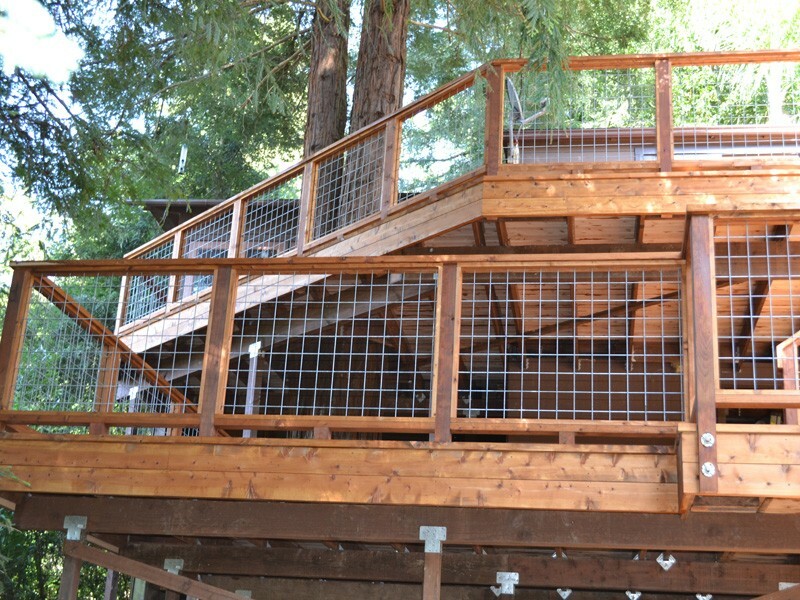 We couldn’t tell from the website picture of the railings that they were intricately placed in a beautiful framework rather than just wrapped around the railing posts. The craftsmanship was absolutely wonderful. 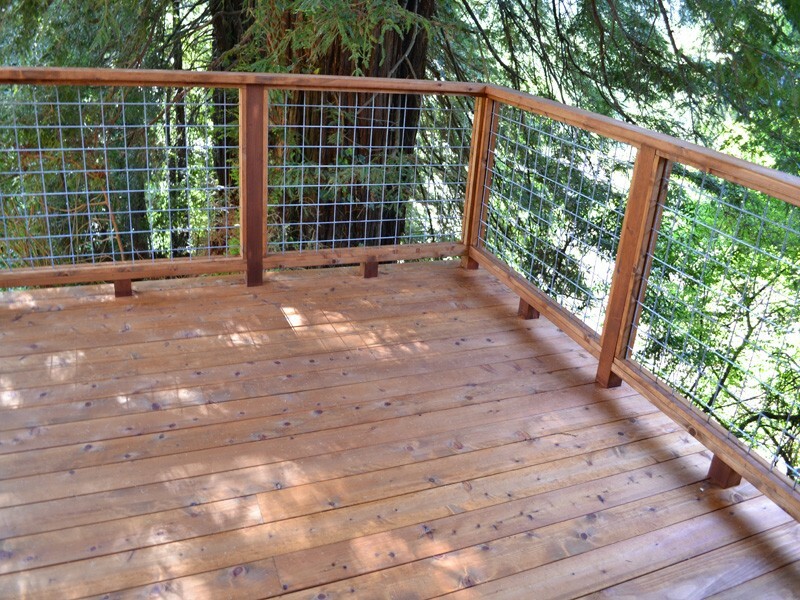 We knew the decking was fastened with screws from underneath (Weston’s invention and trademark), but didn’t realize how much that would beautify the final product as well as greatly extending durability.